Are You Ready for the 2019 BMW M5 Competition? It’s official! The 2019 BMW M5 Competition is coming and we’ve got all the latest information on it. Before you go looking at the 2019 BMW M5 Competition inventory near La Jolla, CA, you’ve got to hear what this amazing model is offering. The 2019 BMW M5 Competition Package takes the car from 591 horsepower to a mind-blowing 617. This drops the 0 to 60 mph time from 3.4 seconds to just 3.1 seconds. That’s not all; this model-specific vehicle also offers a new exhaust with a unique tone, new engine mounts which provide a quicker engine response plus upgraded suspension tuning. The all-wheel-drive system and eight-speed automatic transmission remain unchanged because they pair perfectly with the power of this M5 model. The BMW M5 is in its sixth generation, so you know it’s been a fan favorite. Part of the popularity is due to the intense luxury style while the other part is because of its sheer power and handling. The lightweight M compound brakes feature six-piston calipers in the front and single piston in the rear for maximum braking force as well. What’s really fun about the Competition Sedan is the design. The high-gloss black finishers located on the door handles paired with the mirror base and mirror triangle, give this smooth ride a unique look that stands out. The car’s kidney grille also features the high-gloss black accent as does the rear bumper cover. With both tailpipes done in black chrome, this car has the perfect color-coordinated composition. 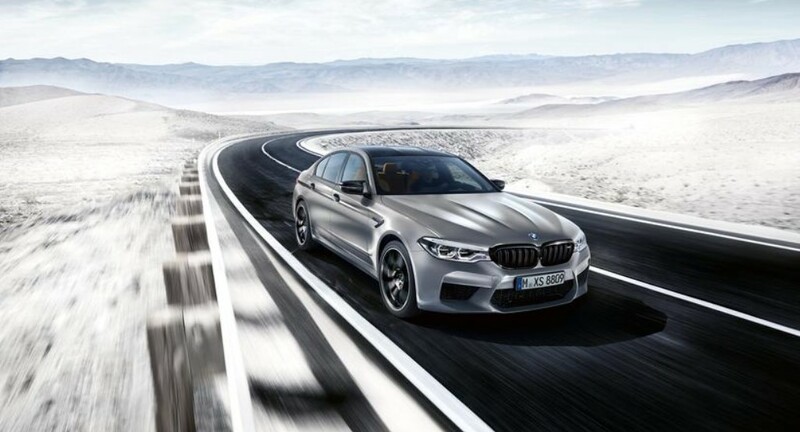 If you are ready to find a 2019 BMW M5 Competition for sale El Cajon, CA, then we can help! We want you to be one of the first to drive a 2019 BMW model near Kearny Mesa, CA. Simply visit us at BMW of El Cajon and let’s see how you look behind the wheel. We are conveniently located near Mission Valley, CA and would love to help you find the car of your dreams, today!